ROCKFON® introduces its new Cinema Black™ acoustic stone wool ceiling panels. These low-reflection, black surfaces and high-performing sound-absorptive ceiling panels can cost-effectively improve both the visual and acoustic experience in auditoriums, restaurants, and spaces specially designed for music, film and live performances. 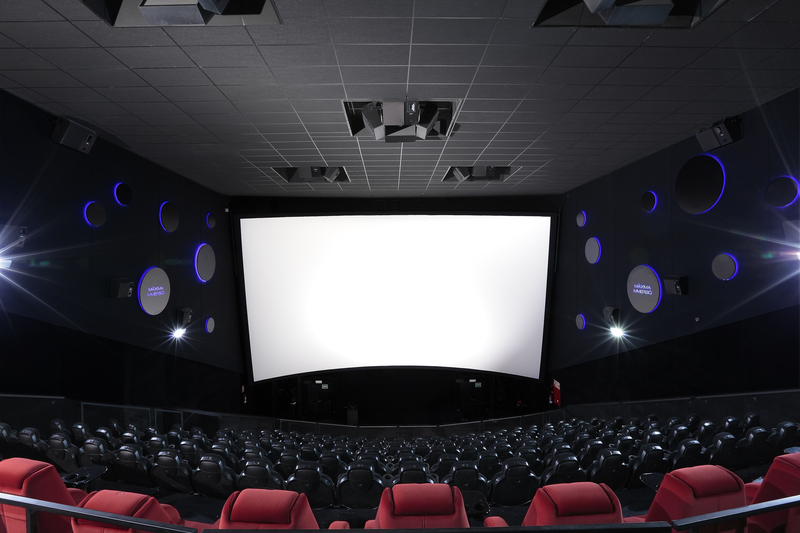 ROCKFON Cinema Black ceiling panels offer Noise Reduction Coefficients (NRC) up to 0.95, sustainable design benefits and high fire performance. These ROCKFON stone wool ceiling products are made from basalt rock and contain up to 43 percent recycled material. Further contributing to environmental goals, ROCKFON’s extensive portfolio of stone wool acoustic ceiling solutions has earned UL® Environment’s GREENGUARD Gold Certification for low-emitting products. ROCKFON stone wool ceiling panels in North America also are UL/ULC certified for Flame Spread and Smoke Development. Non-combustible, stone wool can withstand temperatures up to 2150 °F (1177 °C) and resists melting, burning or creating significant smoke, which improves overall fire safety and limits building damage. ROCKFON Cinema Black panels are offered with a square lay-in edge designation, and available in 2-by-2 foot or 2-by-4 foot modular sizes with either 5/8-inch or 1-inch thicknesses. These lightweight ceiling panels are easy to carry, to cut and to install in standard 15/16-inch ceiling suspension systems. Providing low maintenance and long-term durability, the panels are dimensionally stable at up to 100 percent relative humidity and factory painted. ROCKFON stone wool ceiling products supplied in North America are supported with a 30-year warranty.